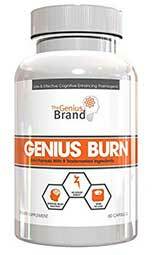 Genius Burn is a health supplement marketed as a “2-in-1 Focus Enhancing Thermogenic Fat Burner” designed to improve brain health and provide fat loss. It’s produced in the USA and the company behind the product also produces a “smart caffeine” supplement called Genius Caffeine. Both items are marketed under the brand name Genius Brand and they could not be more different. Genius Caffeine is marketed on claims made about how good it’s blend of caffeine is, while Genius Burn is praised for its lack of caffeine. Very little is known about the company behind Genius Brand. A close inspection of the Genius Burn label reveals the pills are manufactured by PacificNorthwest Naturals LLC, and an address in Washington is provided. However, the company website is located at SupplementSmarter.com. It does not provide a shopping cart facility or any information about the company or its products. It’s just a single page that is “powered by Weebly”, and has the Genius Brand logo in the centre and a link to company’s Amazon store. Sensoril (125mg): A proprietary blend that provides an Ayurvedic herb, called ashwagandha, that may offer protection against stress. iFAS503 (125mg): A proprietary blend of green tea, tuber fleeceflower root, and Loranthus. TeaCrine (100mg): A proprietary blend of theacrine that allegedly offers benefits that are similar to caffeine, but does not present the same risk of side effects. AlphaSize (100mg): A choline-boosting proprietary blend that is designed to improve memory function, concentration, and learning abilities. Cognizin (100mg): A proprietary blend that promises to reduce brain drain and help people think clearly. GS4 (50mg): A proprietary blend that provides the “miracle fruit” gymnema sylvestre. It can assist weight loss when combined with hydroxycitric acid and niacin-bound chromium, but the necessary ingredients are not present here. L- Theanine (50mg): A tea extract that has many alleged benefits and may be able to provide relaxation without the risk of drowsiness. Paradoxine (25mg): A proprietary blend that is is often added to nootropic supplements. Capsimax (12.5mg): A proprietary blend of capsicum that is a red hot property when it comes to weight loss, but the amount provided here is quite low. AstraGin (12.5mg): A proprietary blend that is designed to aid the absorption of other ingredients. Huperzia Serreta (2.5mg): Also called Club Moss. This ingredient is often added to nootropics and may have value as future treatment for Alzheimer’s disease. Genius Brand have given discounts to a lot of customers in exchange for their reviews, so there is plenty of customer feedback available. Most of it is very good, but testimonials that are incentivised in this way may be biased. The amount of negative reviews may be fewer in number, but they raise some doubts about the product’s ability to deliver good results. New users should take one capsule, two times each day, 30 to 45 minutes before meals. If the capsules are tolerated well the dose can be upped to to two capsules, two times per day, from the fourth day onwards. The manufacturer states good results will require a supplementation period of at least 60 days and points out the need for diet and exercise. 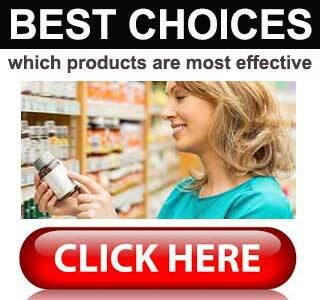 Customers who want maximum benefits are told to take the two capsules three times a day. However, a number of users state Genius Burn causes side effects, so we think all potential users would be wise to refrain from using Genius Burn without the prior approval of their doctor. Anybody who wishes to buy a bottle of Genius Burn can only do so via Amazon.com, but Genius Brand does not post products to addresses located in the UK. Fortunately, the product also appears to be available via other Amazon retailers that offer free international shipping. 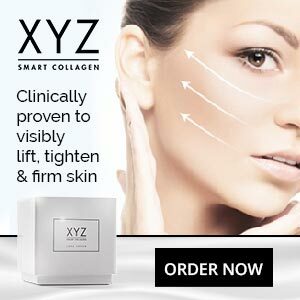 The cost per bottle is $50 (£39) and users who opt to take the maximum dose of six capsules per day will find a bottle only lasts 10 days. The Amazon sales page bears an emblem proclaiming a money back guarantee, but no information is offered about its duration or any terms or stipulations that might apply if customers ask for a refund. Genius Burn contains a hotchpotch of ingredient that may improve mental ability and support weight loss at the same time, but it is unlikely to be a particularly strong product in either regard. People who require a good nootropic would be better of choosing a supplement that contains only nootropic ingredients. 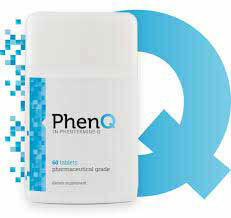 Anyone with a need to lose weight would gain more benefit from a supplement intended to focus on weight loss. Genius Burn is designed to provide double benefits, but the two-in-one approach is misguided because it will also result in half the power.